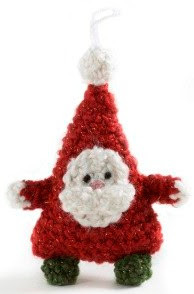 A cute little cone-shaped Santa Clause to hang on your Christmas Tree. Why not make a few as gifts for friends? Thank you Amy, what a lovely thing to say!